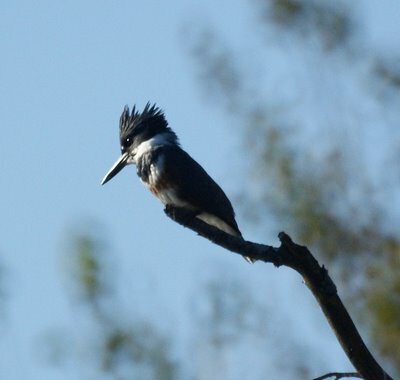 We find it hard not to post kingfisher photos. They have been avoiding us for several months and now don't seem to mind. 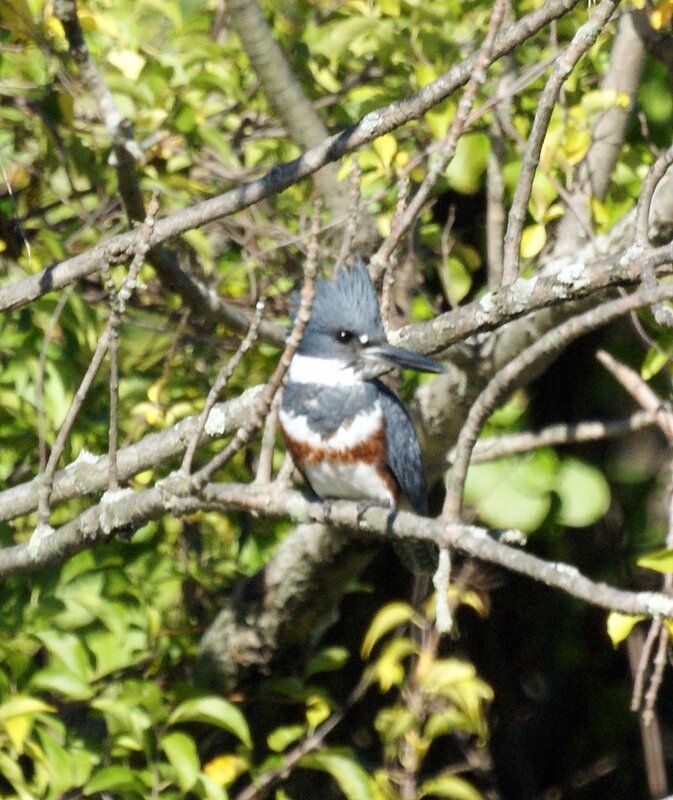 Last week, the belted kingfisher had his hair slicked back, but today it was up like Don King's.